We strongly believe interaction is key to the well-being of every child—regardless of abilities. Masonic Homes Kentucky’s pediatric day care and preschool, Sproutlings, takes a unique approach to childcare for traditional and medically fragile children, allowing every kid to learn, play and grow with one another. 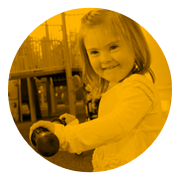 Sproutlings offers comprehensive care and development programs for children of all abilities in a cutting edge space on Masonic Communities Louisville Campus.